Father's Day is Sunday, June 15th which is just around the corner! 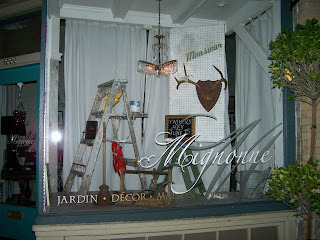 Mignonne is the place to find all the dads in your life that special something. We have great body products for men, including L'Ome shaving line and masculine scents of soap and lotions. We also carry interesting books that the fellows too will enjoy, whether their interest is in all things environmental/green, travel, cocktails or chef's delights. Many of our beautiful works of art would also make a handsome treat for dad. Be sure to check out Gary Comoglio's (one of Mignonne's featured artists) paintings and prints when you come by. If you can't decide upon just the right thing, Mignonne offers gift certificates so he can come on in and select his own gift.